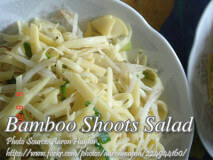 This bamboo shoot salad recipe is a simple and healthy salad dish. 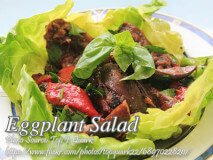 It consists of..
A tasty native eggplant salad dish that consist of broiled eggplant, coconut cream, onion and.. 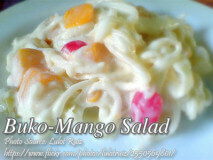 This is salad recipe composed of shredded young coconut, cubed mangoes, gelatin, milk, mayonnaise and..
A simple gourmet salad recipe that you can make in any occasion because of the.. 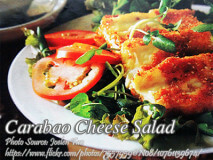 This salad is made from molded honeydew melon balls in lemon flavored gelatin. A very..